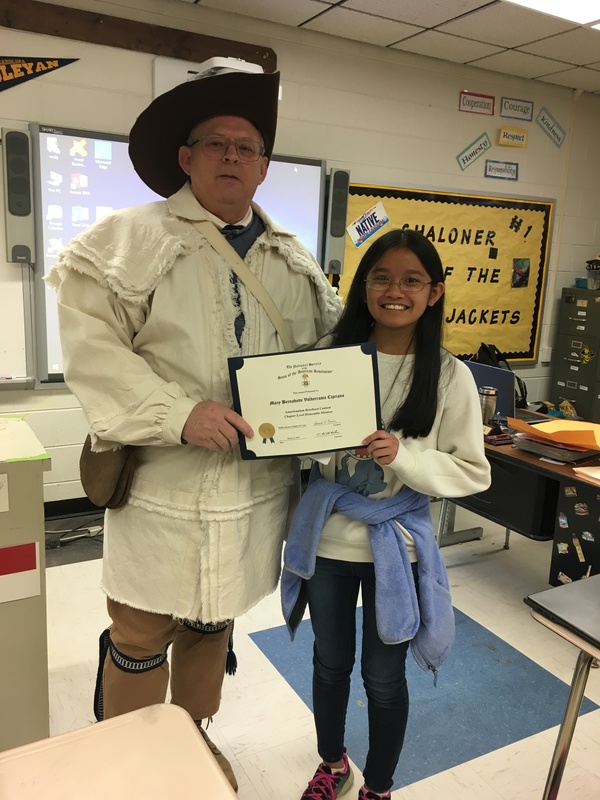 The Halifax Resolves Chapter NC SAR recently conducted their annual Americanism Brochure contest for the 8th grade Social Studies students. Students were asked to develop a tri-fold brochure that illustrated their support or disapproval of one nation’s Founding Documents. The topics were limited to the Declaration of Independence, the Federalist Papers, the Articles of Confederation, the Constitution and the Bill of Rights. 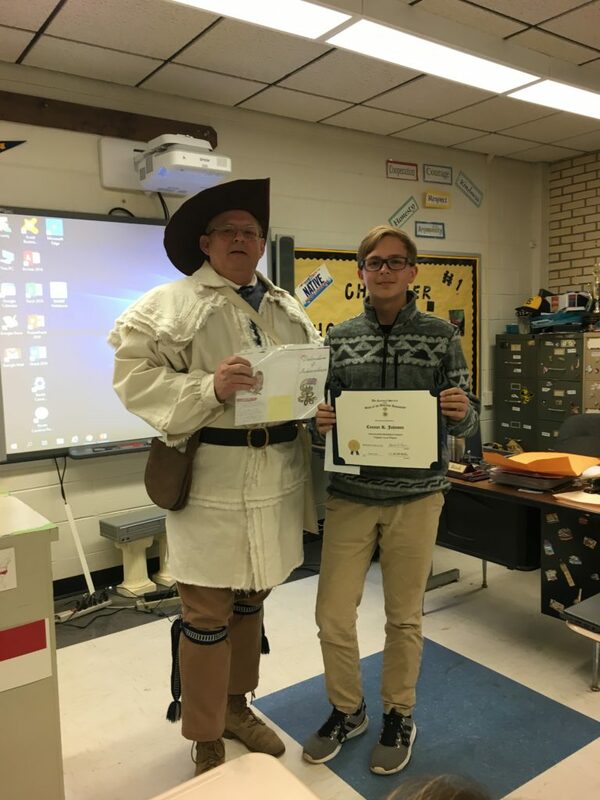 Chaloner MS 8th grade student Connor Johnson won the competition with a brochure illustrating his support of the Declaration of Independence. Connor received a chapter-level winner’s certificate and a check for $100.00. His entry will now move forward to the NC level of the contest to be held May 18 at the Alamance Battleground in Alamance, NC. 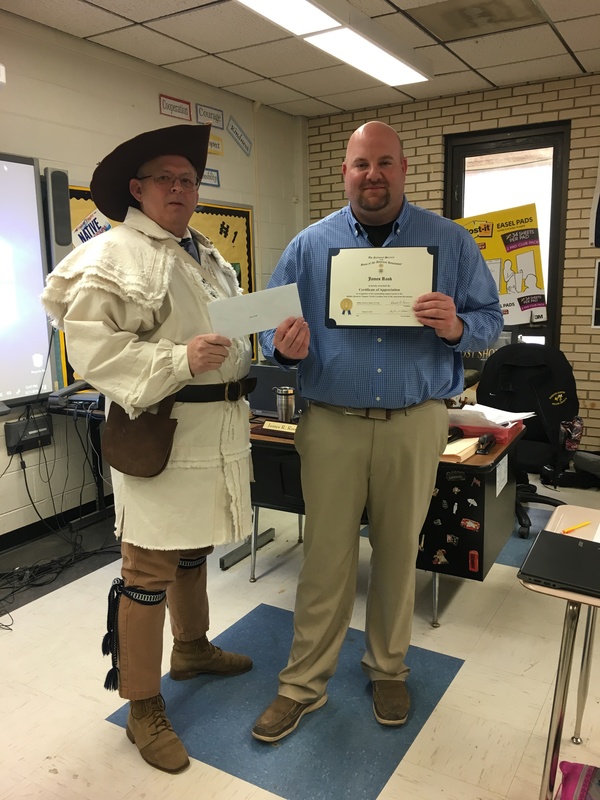 Additionally, Social Studies teacher Mr. James Rook received a Certificate of Appreciation and a check for $50.00 for his support his student winning the contest. The Honorable Mention went to Mary Bernadette Valderrama Cipriano, a classmate of Connor’s.